Sports Cloak - long sleeved, longer length. As a result of the hugely popular Charlie McLeod Sports Cloak we have now introduced a Long Sleeve derivative. Not only long sleeve but this Cloak has added body length for all weather conditions. The Long Sleeve Sports Cloaks has all the CMc features you would expect, but we have also added a highly absorbent Packaway Microfibre Towel to aid your drying process. Developed and researched in-house this garment offers a one stop solution for apres sport. The Sports Cloak has made changing water-side a doddle, whilst staying warm and dry at the same time. Including inbuilt features to ensure your post exercise experience is as full and rewarding as the exercise itself. More essential kit for all year round sea swimming - a robe that keeps you warm and dry. Lots of thoughtful details included like a bag that doubles as a changing mat and long zip for cold/numb fingers! 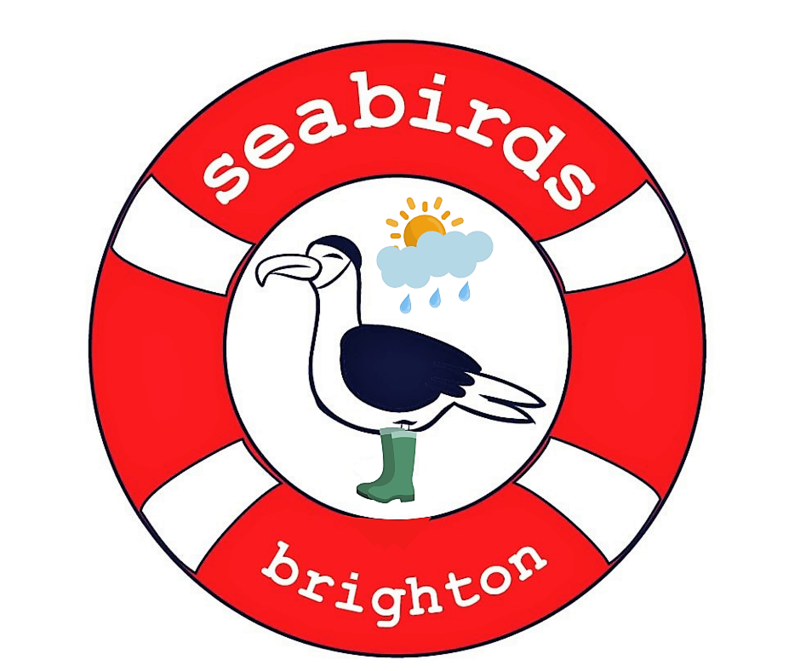 Seabirds is a social enterprise so the profits from your purchase go to funding charities and projects supporting wellbeing through swimming/surfing initiatives in Brighton and the South Coast. Salted Wellbeing for all! Click here for full review and video!